Sung Duk Mi (Pak Min Young) lives a double life, being the gallery curator and the webmaster of a fansite about an idol group member Si An. Because of her fangirl dedication, Duk Mi had to part with several guys. She then decide to devote herself to being a fangirl, rather than dating. 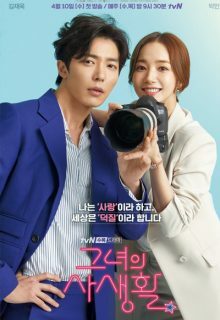 Ryan (Kim Jae wook) is the new director at the gallery where Dok Mi works. He was once an artist, and now he is enjoying a career success as a director. An individualist through and through, Ryan comes to find out about Duk Mi’s double life. He becomes a passionate fanboy of her. When is the next episode releasing??? I can’t wait for it ! !